The Foundation for Youth Tournaments (Russian: Фонд «Турниры юных», romanization: Fond Turniry Junyh) is focused on promoting and developing youth intellectual competitions based on the framework of a scientific tournament. One of its important activities is to provide a financial infrastructure for the IYNT, including the handling of donations, registration fees, and payments to the LOC. The Foundation operates in Russian jurisdiction (reg. no. 1147799008719, Unified State Reg. 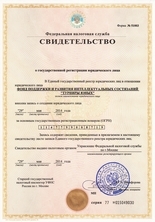 of Legal Entities, full name: "Foundation for Promotion and Development of Intellectual Competitions "Youth Tournaments") and has its headquarters in Moscow. Its operations are governed by the Russian Civil Code and the Russian Federal Law on Non-Commercial Organizations (12.01.1996). We stand up for the belief that Youth Tournaments bring life-changing experiences for the participants. They play a vital role in fostering the self-confidence and creativity necessary for a future career. Join us in our mission and support the IYNT or the older and better known IYPT, recepient of the ICPE 2013 Medal for "outstanding contribution to physics education". Contact us to arrange for a meeting to discuss new partnership opportunities.